I love these traditional holiday cookies, and can't ever eat just one. 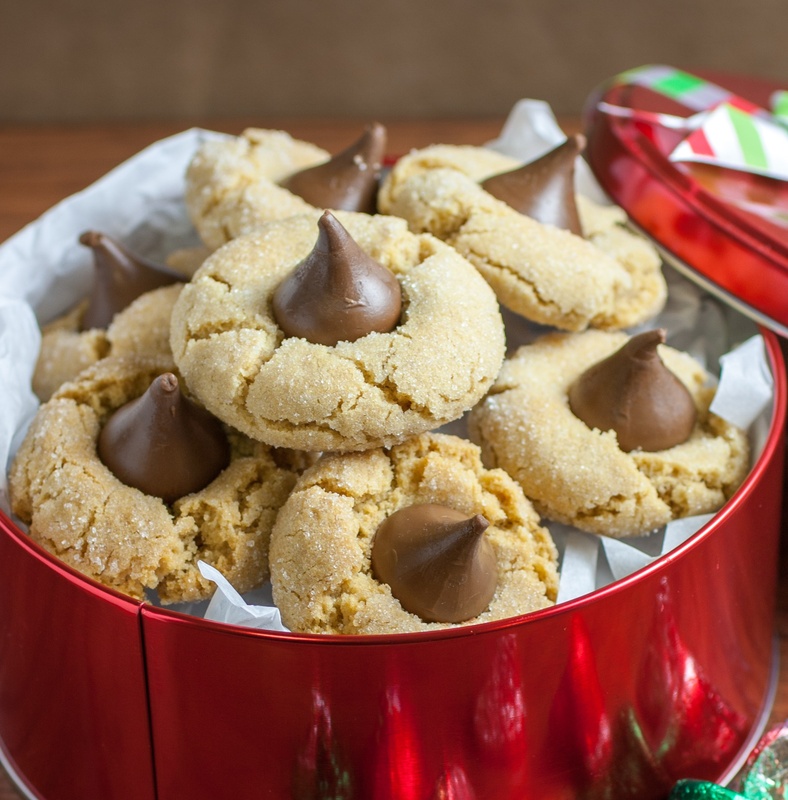 Peanut Butter Blossoms (a.k.a., Peanut Butter Kisses) are essentially mild peanut butter drop cookies with a milk chocolate kiss pressed onto the top. These are quick and easy cookies that kids love to help make and eat! They're especially fun to make with the little kids who love to roll them in the sugar and put the kiss on top. Remove wrappers from chocolates; set aside. Place about 1/2 cup sugar (for rolling) in an 8-inch cake pan or shallow dish; set aside. In a medium bowl, sift together flour, baking soda and salt; set aside. In a large bowl, beat butter and peanut butter until well blended. Beat in granulated and brown sugars until light and fluffy. Add egg, milk and vanilla, and beat until well blended. Gradually mix reserved dry ingredients into the wet ingredients. Using a tablespoon measure or cookie scoop, portion out dough and shape into balls about 1-inch in diameter. Drop balls into pan with sugar and shake (about 4 balls at a time) to roll balls in sugar to coat. Place balls about 2-inches apart, in staggered rows of 3-2-3-2-3, on a large ungreased cookie sheet. Place one baking sheet at a time onto center rack of preheated 375 degree F oven. Bake until just starting to turn light golden brown, about 8 to 10 minutes, rotating baking sheet if needed for even baking. Remove from the oven and immediately place one chocolate kiss onto the center of each cookie, pressing down firmly (cookie will crack slightly around edges). Cookies freeze well. Makes about 48 cookies.